By the time Terrence Malick's first feature film Badlands debuted in 1973, Andrei Tarkovsky had already made Ivan's Childhood (1962), Andrei Rublev (1966) and Solaris (1972). It's obvious that Malick was one of several 1970s filmmakers who came up on Tarkovsky's work, no doubt influenced and moved by the Russian auteur's moving images. Badlands (and Malick's follow-up film Days of Heaven) had a meditative and introspective quality that was elevated by stirring images of the natural world -- a Tarkovsky concoction if there ever was one. Tarkovsky's 1975 film The Mirror was a turning point for both the filmmaker and the films it would influence going forward, since The Mirror broke the rules of what a traditional narrative should look like and how a story could be conceived. Rather than have a traditional plot, The Mirror was a medley of voiceover thoughts, stunning cinematography, appropriated use of archival footage, sections shot in black in white and a nonlinear structure that reflected the momentary memory flashbacks of its protagonist narrator. Malick would later employ some of those filmmaking techniques in his films The Thin Red Line and The New World. In 2011, Malick won the Palme d'Or at the Cannes Film Festival for his masterpiece The Tree of Life, a film that is the cinematic offspring of Tarkovsky's The Mirror. Like Tarkovsky's film, The Tree of Life surveys the cosmic and as well as the personal (Malick's childhood to be exact) to final results that defy definition; the film exists and it overwhelms. It is truly an experience -- it's not something you can simply explain to other people without sounding like you're rattling off worldly epiphanies. 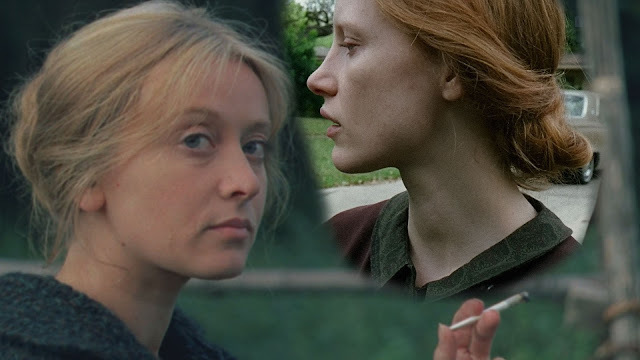 It's also the closest that Tarkovsky's voice and Malick's voice merge into one; two artists who are trying to make sense of existence, of love, of pain and who both go back to their own upbringings as a focal point. Both films command the surrender of their viewer's heart and mind -- and for those willing to take the leap, the experience liberates the imagination. Please watch the latest entry in the #InformedImages video series below.